The K26 van-mounted platforms. Read about the rental clients experience. The K26 Renault Master van-mounted platform. Read about our Rental customers experience of this compact conversion. The rental customer came to us knowing that we would have the perfect van-mounted platform for their specification. After a discussion about what the platform was going to be used for, they decided on a K26 Renault Master with a Green Pack Boom. This meant the boom would run with the engine switched off. There is also the option of a fully electric, zero emissions K26 Renault Master ZE. They chose this model as it is compact due to the cutaway version and it has also been designed without the need for outriggers. No outriggers mean that the operator can quickly set up the machine and carry out the work in a very short amount of time. 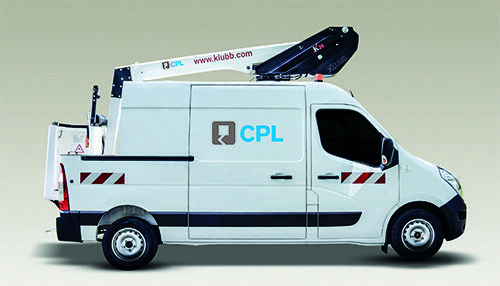 The van-mounted platforms compact size prevents disturbance to traffic and pedestrians when it is parked. The cutaway version allows for much easier maneuverability which means it is less likely to be bumped in the busy streets of the city. This is a very important aspect when the customer is renting the vehicle to their client as it is less likely to be damaged. 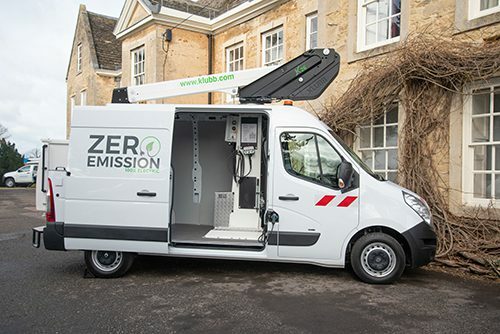 The K26 Renault Master van-mounted platform has a working height of 11.8m and a working outreach of 6.8m with a 120Kg basket capacity for one person. This is exactly what the customer needed for a long-term rental and the confidence to be able to hire out again one this rental agreement came to an end. If you would like a demonstration of this or any of our conversions, Contact us.